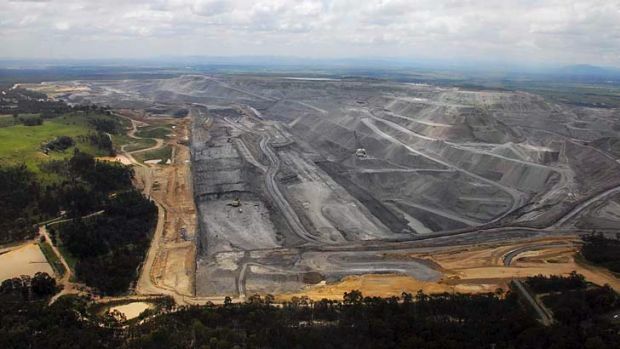 "Green" Queensland approves Massive Carmichael Coal Mine | Watts Up With That? Australian Greens are furious that the government of the Australian State of Queensland, which has made a big show of their environmental concern, has just backflipped and approved a massive new coal mine. Palaszczuk government accused of a morally bankrupt backflip after approving mining leases while two legal challenges to $22bn mine remain unresolved. Conservationists and traditional owners have been floored by Queensland’s decision to grant mining leases for Adani’s mega-coalmine while two court challenges are unresolved. The Queensland government has cleared the last major state hurdle for the Indian miner to proceed with its $22bn coalmine (which would be Australia’s largest), rail and port project in the Galilee Basin and at Abbot Point. But even Adani says it won’t make a final investment decision on the project until legal challenges by “politically motivated activists” are concluded, and it has the last approvals it needs. Two groups fighting the mine in separate court battles have accused the state government of a morally bankrupt backflip that endangers the Great Barrier Reef and trashes Indigenous rights. In announcing the leases alongside premier, Annastacia Palaszczuk, in Mackay, Lynham said he had carefully weighed up the challenges and benefits of the Carmichael project, and the benefits had won. He said 200 strict environmental conditions would safeguard the environment, while ensuring a project that would generate thousands of jobs could proceed. “We would encourage Adani to start [construction] as soon as possible, but that is a matter for Adani,” he told reporters. The three leases issued for the mine site north-west of Clermont cover an area estimated to contain 11bn tonnes of thermal coal. The premier said the project would generate more than 5,000 jobs at the peak of construction and more than 4,500 jobs at the peak of operations. Queensland is suffering significant economic hardship and job losses, thanks to the cooling global economy, and reduced international demand for mining commodities. The only bright spot is an anticipated surge in demand for coal, thanks to China and Japan competing to see who can finance the largest number of new coal generators. If the green leaning government of Queensland had stood in the path of 5000 new well paid jobs, in the name of saving the planet, it would likely have been an act of political suicide. April 3, 2016 in Coal. ← How Much Of Global Temperature Increase Is Due To El Niño? This mine is an Indian venture and will export coal to India to fill in their growing demand for cheap, reliable, clean energy. No coal should ever be wasted that way, We should be doing this …..
Greens won’t like that either. The same was being said about the natural gas find(s) in Bass Strait when I lived in Australia in the 70s. There is far more coal than gas, I am sure. So would you burn methane (natural gas) to produce the electricity to run your chemical plant? Could you pull methane from the coal seams? Me, I like coal as a fuel. Easy to store and ship. The cinders (clinkers) are good for traction on ice and snow. Sorry, no snow in Australia. Still you might refine iron and other metals from cinders. India needs electricity. Without those electrons running through wires their people will have no running water, no safe, cheap lighting, no telephones, no televisions and no washing machines. In short, they will be forced to live the way the Greens want Americans and Australians to live. Say, could we produce methane from our outhouses? Mark my words folks, coal will save the world. I chuckled when I read this. Seriously. I chuckled. Funny really. Green energy allows for billions to be dug out of the tax payer’s and energy consumer’s incomes and bank accounts and handed up the food chain to the super-rich money masters. And meanwhile, traditional energy allows for billions to be dug out of the earth and handed up the food chain to the super-rich money masters. And yet the useful idiots are still mystified by the apparently “contradictory” actions of their government. There’s nothing contradictory about it. They win. And you lose. I’m not sure why you would think that. I’m only pointing out that resource extraction and the new state mandated green energy rip-off are only the same thing for the recipients of the profits thereby derived. i.e. ways to make more money. Hence there is no inconsistency in a government promoting both simultaneously. i.e. that such a government is not really serving two masters. Sadly for the world, I expect that Hilary will win – and we can expect to see the entrenchment of the crony capitalist take-over for another four years. (With a superficial green wrapping). There’ll be plenty for us to complain about!! We ask scientists to be properly skeptical and not take the party line on anything. We should also be skeptical about our political thinking. indefatigablefrog has observed that the system is corrupt. It’s possible for any system, left or right, to be corrupt. It distresses me that none of the four main presidential contenders looks to be too serious about fixing the corruption. indefatigablefrog, while I am far from being super-rich, I always have aspired to become so. And, I would encourage everyone else to do (aspire) likewise. I expect that the percentage of non-super-rich people who are corrupt is similar to those in the upper wealth levels. The difference of course is that the opportunities to use government for illicit gain are greater the wealthier you are. So, I would suggest that you put the focus where it belongs – on eliminating the power of government officials to dispense favors – rather than on class warfare language. That’s what made America great. It’s a big problem if people quit believing that hard work will get them ahead. I think most of us can agree on that. Petroleum prices have dropped dramatically in Australia, thanks to an over-abundance of fracked oil on the world market. Thats a direct benefit of allowing people to dig stuff up which is otherwise no use to anyone, and sell it to consumers. With any luck, a few more coal mines and the same thing will happen to the price of electricity. Eric, dramatic fuel price falls? from 125/27 a litre to 115 its nice BUT considering 135ish was when oil was 100+ abarrel and its now 40 or less? the drop is NOT anywhere representing the huge difference. and why is a WELSH mine pic used? they dont make so much money from revenue for her govt ..they just help feed the nation. guess shareholders n OS companies still come first. Nope, no dramatic price drop in the price of oil over there unless you’re referring to the drop back in 2008 when the economy tanked. You’d think that there would be a huge drop in price but alas, I’m 90% sure that the refiners are pretty much charging as much as they want right now because they know they’ve got them by the balls. Monopoly’s and collusion between suppliers are bad for democracy and peoples wallets. I don’t really buy the argument that Australia’s gasoline prices are so high because of their environmental standards on the quality of their gasoline only because if that stuff was selling for such a higher price someone would be manufacturing more of it to ship to Australia. Part of the price of their gasoline is undoubtedly because of that (Americans, Drive from Nevada into California and you’ll see what I mean) but I suspect a larger part of the issue is just the dangers of giving too few people too much power. 100 million Indians will no longer be cooking on dung fires, is that acceptable to you. I just pointed out that both mining expansion and the green subsidy scam are ultimately driven by the same profit motive. That therefore promoting both simultaneously is not really incompatible in the minds of politicians. i.e. it’s only the green activists who believe that their government are in any sense motivated to “save the planet”. I’m not certain why my comment was interpreted as an attack on capitalism or mining. I’m a pro-free-market libertarian advocate of small government. I’d rather the E.U. was extracting it’s own fossil fuels, rather than talking crap about leaving them under the ground and then buying unprecedented quantities of gas off Putin and oil off the Arabs. The Greens have tried every trick in the book. They have failed. The mine is on the other side ( western side) of the Great Dividing Range to the coast (eastern side), so no coal or overflow can run into the Great Barrier Reef. Blatant emotional blackmail. They protested dredging at the port and that resulted in the spoil having to be pumped onto land. The coal at the terminal is sprayed with sea water to keep the dust down. There is a bund wall to stop spillage into the harbour. They tried protesting over a species of snake and lizard also. Unfortunately for them, the range of the 2 species is much bigger than the mine. The local Aborigines had no problem. They saw jobs and prosperity, until the activists arrived with their fake smoking ceremonies and other bs. The area was too dry for any permanent camps by Aborigines. They would only have passed through. I agree Carmichael is a good thing, but have to correct you- the mine is definitely in the Burdekin catchment, on the eastern side of the dividing “range”, mostly anyway (Some parts of the leases may be astride the top of the watershed.) Streams here do flow to the Pacific and the Reef. Just a reminder.. The picture in the title is not a coal mine, it is the main mineral mine in Western Australia. Yes. It is the Kalgoorlie super pit. It’s a gold mine. Was it photoshopped to look black (like carbon)? Does that look black to you? The host rock for most of the Golden Mile deposits is basalt – usually dark grey. 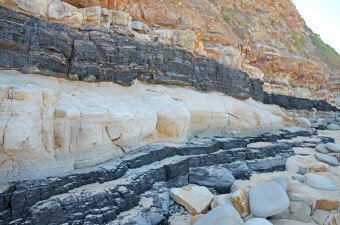 Coal deposits are normally black seams that stand out in stark contrast to other, lighter coloured sediments. I don’t know how to link pics and I’m not sure if this pic is under copyright anyway. But those who know these things will hopefully deal with it either way. Same issue in a post a month or so ago. This is an Al Gore sort of thing. Likely will happen again. Sigh. Thanks Andy, I remember you commenting on this before. I’ll try to remember for next time. 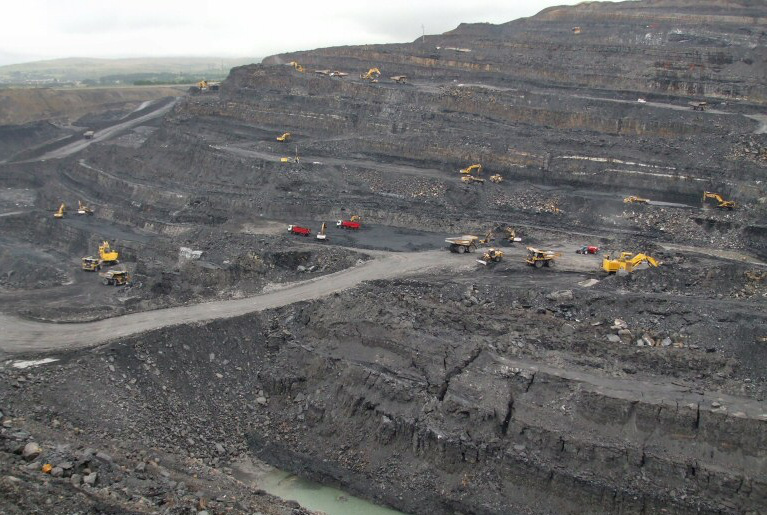 Eric: I just Goggled IMAGES of ‘open cast coal mines’ and came up with many hundreds. Some are bound to open access. back out a bit and then zoom to any of the Hunter Valley coal mines. As far as I know, all GoogleEarth images are open slather. disclaimer.. I am in no way associated with the coal industry in the Hunter Valley. oops…. EW… seems you found a coal mine.. If in West Virginia’s Appalachian Mountains the “greenies” would be calling that an MTR site (Mountain Top Removal coal mine), …… instead of an “open cut coal mine”, ….. and their dastardly devious and loud protesting and Obama’s un-Constitutional Executive decrees would have done shut it down. Leftists can try to destroy the world economy by promising to replace coal and natural gas grid-level power plants with hilariously expensive, intermittent, inefficient, and diffuse wind/solar boondoggles, but “evil” capitalist businesses usually find ways around governments’ ineptitude, rules, “green” taxes and regulations. And while Leftist hacks play these silly games, $10’s of trillions of world GDP are wasted, unemployment increases, GDP growth his hindered, technological advances are curtailed, standards of living fall, disposal income decreases, companies go bankrupt, trade deficits skyrocket, people go hungry, poverty increases, etc.,… for no good reason whatsoever…. Not entirely correct. Queensland is suffering due to massively irresponsible spending. For a government to overspend during a mining boom takes some consummate profligacy. Now that the fountain of cash has slowed to a trickle, and the bills keep coming in, the finger gets pointed at ‘cooling global economy’. But they’re going to fix it all by going back past the dark green ages in woody vegetation management. Hey, sounds like Alberta. Running deficits during our provinces best economic years in our history. Now that oil prices have dropped, how will they possibly run a reasonable budget. Looks like it will create more jobs than the $22 Billion desal plant did. One of the greatest barriers to economic progress in Australia and elsewhere are a group who can loosely be described as ‘white liberal lawyers’. This group also act as the self-appointed protectors of aboriginal interests, thereby sucking off hundreds of millions of dollars from government agencies, in order to hinder as much economic advancement as possible of these people. Greenie supporting legal groups and human rights lawyers cause so much economic harm, whilst obscenely enriching themselves. For them it is an irrelevance if they win or lose their cases, their snouts are firmly in the troughs of some government financial agency. Presumably the “threats to the Great Barrier Reef” and the “trashing of aboriginal rights” are entirely without substance, as are almost all greenie causes. It would be interesting to know just how huge the legal fees are here and who is actually paying them. The answer would probably make you want to vomit. could be worthwhile for some enterprising reporter to track down. the lawyers involved could look very bad in the press unless they were working pro bono. nothing like the light of day to send the blood sucking parasites into hiding. That species went extinct quite some time ago. You are not alone. Change a couple of words and you could be talking about Canada. This is true. The greens tend to destroy jobs and the economy via widely diffused regulations, legal actions, and bureaucratic interference. By spreading the pain out over a wide area it becomes less obvious that the greens are destroying the livelihoods of many (most?) of the people. 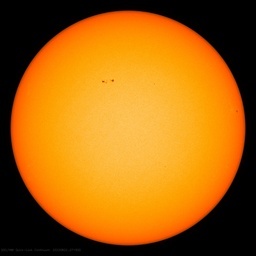 The media was in full fanfare mode with “green” politicians and the ignorant spouting the usual unfounded alarmist drivel. were in the red and run outta the sources we used to be able to cover our butts with for the essentials like roads n hospitals. schools frankly do NOT deserve a bloody cent more! over spent over decorated and waaay over paid teachers for pathetically UNeducated brats we seem to be churning out. following the usa example sadly. No, see, this is all OK. GreenLogic and ClimateAccounting say that you only count the carbons where they are actually released. So Ozland is in the clear on this. India, not so much. But, since they are a developing country, they still get a pass. So, it’s all cool. News item at Townsville Bulletin. Doesn’t look like the local greenies are going to comment. Premier Anaesthesia Palaszczuk has finally done something useful. It is a perverse relief to be reminded that rabid, hypocritical greens are not limited to the US, and that they do get pushback. So if it’s Monday it’s benefit coal day. Tuesday is green subsidy day, Wednesday and Thursday are labor days, and Friday is save our exports day. That leaves Saturday for conventional vote buying day and Sunday for scheming and agenda setting of the next round. I find it troubling that there can be so many who can apparently only see a single solution for a complex problem. Single issue thinking is a plague on all of humanity not least our scientists. It is surely pleasing that in times of economic hardship there can be some easing of ideals as we are seeing here with the opening of this mine and as we appear to be seeing, a removal of tarrifs to effect a major energy price reduction in Europe to combat the dumping of steel there by China. Invite the protesters to the pit and turn on the video cameras. I want to see the live action. Queensland “Green” ??? Since when?? This particular coal mine is disgraceful! The cost of recovering coal is est $100Tonne, twice the current world price. It will not only shut down more cost effective mines but will rip off the indian public all for the benefit of its corrupt indian owner and his political cronies. King Coal is dead. Long live King Coal!